Best live performance I have ever seen! 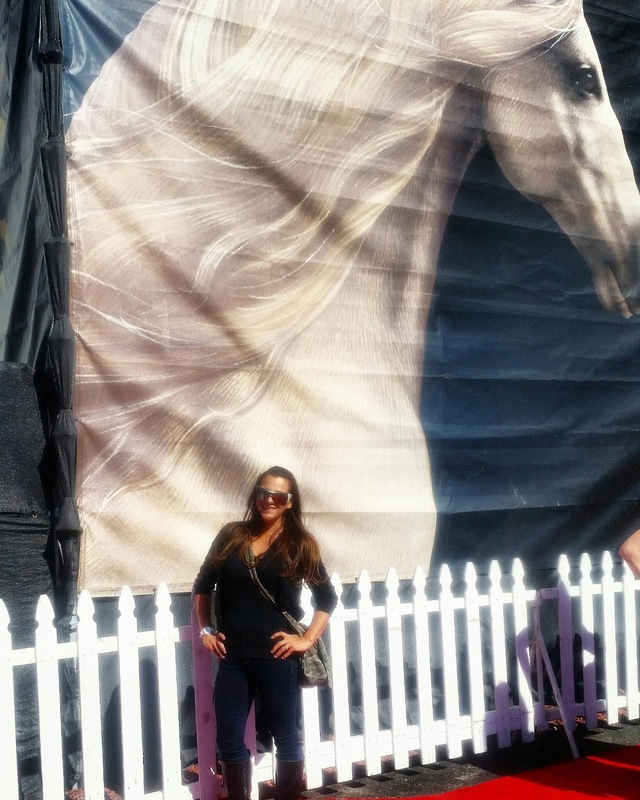 Cavalia brings the big white tents to an empty lot location in Irvine, but what's inside is explosively huge! 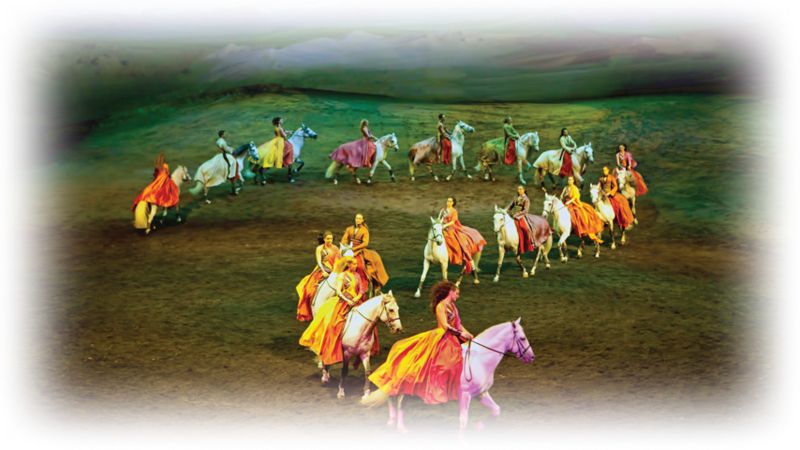 I want to thank Cavalia for allowing me to see this magnificent show with my family. Although my son was not able to attend because he was sick, I will point out a few sensory friendly highlights that I did notice for those looking to attend with anyone on the spectrum. He would have loved it so much. It is obvious to say that the horses are one of the highlights of the entire show but when you are in that arena the surprises are just endless and you are overwhelmed with the excitement and wonder of what will come next. There is live music and live singing from a voice that sweetly carries the mesmerizing tune from scene to scene for 2 hours. Just when you think you have been pleasantly surprised enough...the surround sound changes along with the background and something else fun and exciting is in front of you. The arial arts are full of tricks and movements you have never seen before to keep you on the edge of your seat. 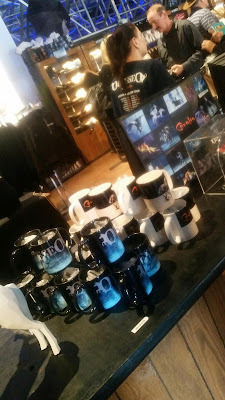 It really feels like a combination of Cirque and Blue Man but I felt connected to the show and got chills of amazement & excitement multiple times. I wish my son could have seen the show. At four years old he would have been completely entertained especially because there was a half hour intermission where he would have been able to get up and stretch and move around. I do have to say that the seats were plenty full of room and the show itself was so captivating it was holding the attention of young and old. As far as sensory friendly and autism friendly I do think that my son who is high functioning, and is not as bothered by lights and sound as others, could have lasted most if not all of the show. I want to point out that some would need headphones to be necessary as well as of lights, loud sound and fast movement. All parts of the show were completely entertaining but one with sensory may be cautious to come prepared. One thing I did keep feeling throughout the entire performance is that my dad would love it. He is 73 years old and was born in Greece and on his farm he had a large white horse that took them everywhere. I know that he would have appreciated the authenticity and passion behind the entire performance. 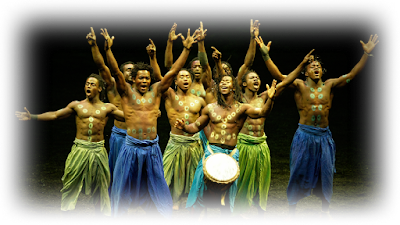 Something I really enjoyed watching was the teamwork of the performers and animals. 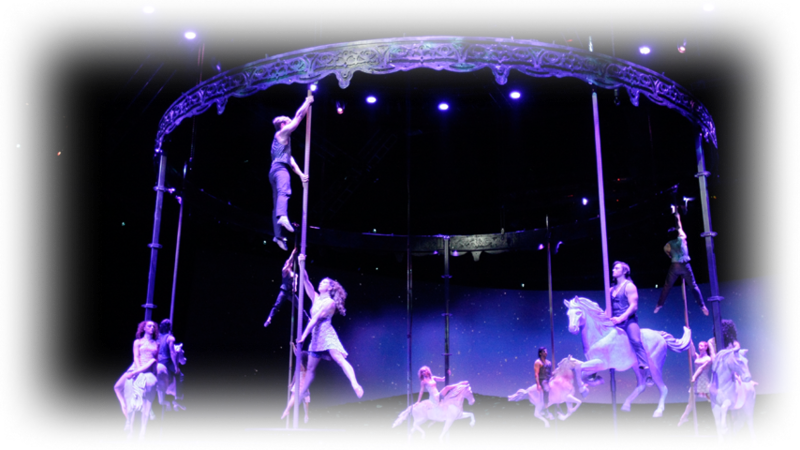 It was purely majestic to watch these performers support each other and these beautiful horses with positive energy and reinforcement throughout the entire show. The transition from dance to equestrian is flawless in movement and flows scene to scene perfectly. A high energy and up beat group of men put their passion in culture first in what was the most energetic act with tumbling for days! I would suggest the show to anyone and as a matter of fact I would really like to attend another performance because I feel like I was emotionally attached to the movement and music as actors and the equestrian arts merged together. 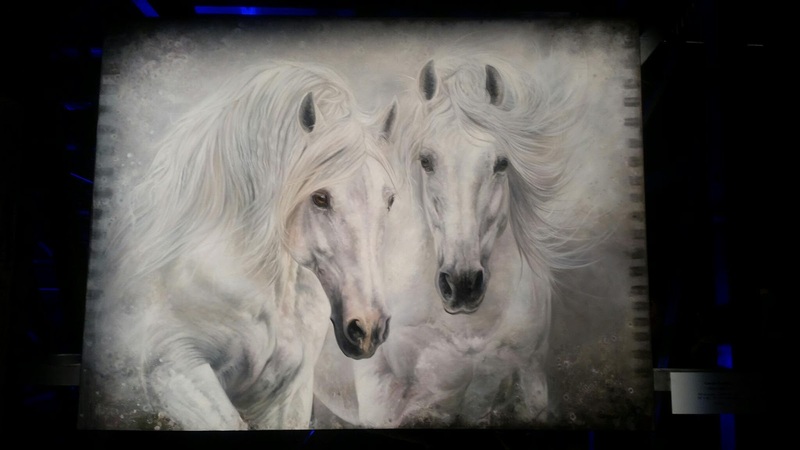 As you walk into and out of the arena you are greeted with the detailed paintings that bring the horses to life during the show. I have a few friends that have already seen the show and cannot stop raving about it. I heard a few special souvenirs made it home already. Below you an see a glimpse of what is available from postcards to horse hair bracelets. So...if you get a chance to attend please let me know what you think because we are just in love! You can get all the information and details about all the show dates and times on the website found here. 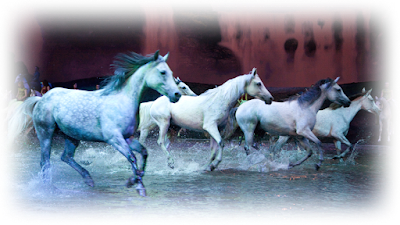 Oh and don't forget the city of Irvine has extended the welcome to Cavalia to have Odysseo stay through the end of March! I hope you all get a chance to see this magnificent performance too!